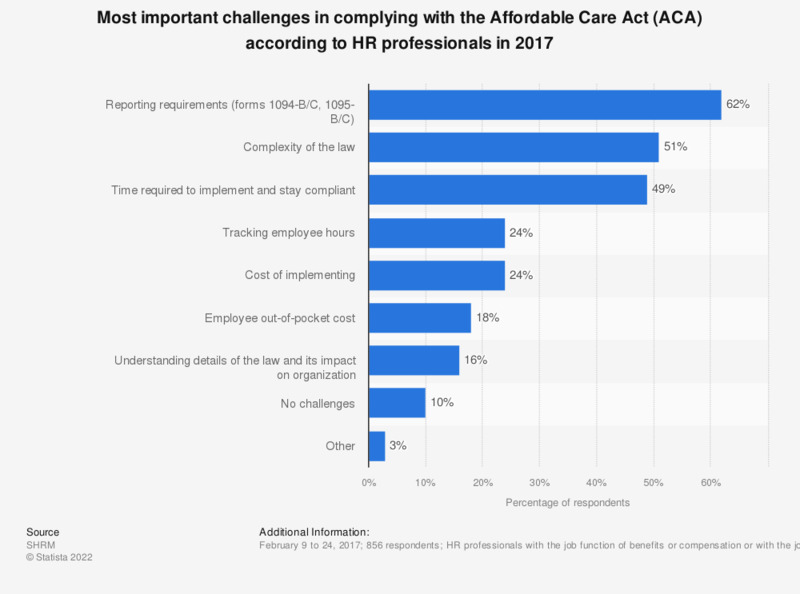 This survey displays the most important challenges in complying with the Affordable Care Act (ACA) for organizations in the United States. according to HR professionals surveyed in February 2017. According to the survey, 62 percent of respondents stated that the most important challenge for complying with the ACA is reporting requirements. Percentages do not total 100% due to multiple response options. Respondents were allowed to select up to three options. Respondents who answered "don't know" or "N/A, my organization is not implementing provisions of the ACA" were excluded from this analysis.